For further reading see Sarah H. Bradford (Sarah Hopkins), b. 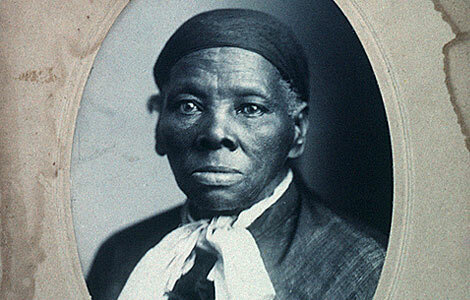 1818, Harriet, the Moses of Her People. New York: Published for the author by George R. Lockwood and Son, 1886. Electronic edition by Documenting the American South. 1998. University Library, The University of North Carolina at Chapel Hill, 2004): http://docsouth.unc.edu/neh/harriet/menu.html. See also: Charles P. Wood, "Manuscript History Concerning the Pension Claim of Harriett Tubman," June 1, 1888, and included in House of Representatives (HR) 55A-D1, Papers Accompanying the Claim of Harriett Tubman, Record Group 223, National Archives and Records Administration, Washington, D.C., 1899; Anonymous, “Colonel Montgomery’s Raid…,” Wisconsin State Journal, Madison, Wisconsin, June 20, 1863; Catherine Clinton, Harriet Tubman: The Road to Freedom (New York: Little, Brown and Co., 2004); and a lively but less critical biographical portrait by Kate Clifford Larson, Bound for the Promised Land: Harriet Tubman, Portrait of an American Hero (New York, NY: Ballantine Books, 2004). For a digitized source drawing on Earl Conrad, “General Tubman: Campaign on the Combahee,” The Commonwealth, Boston, July 10, 1863, see http://www.harriettubman.com/tubman2.html.